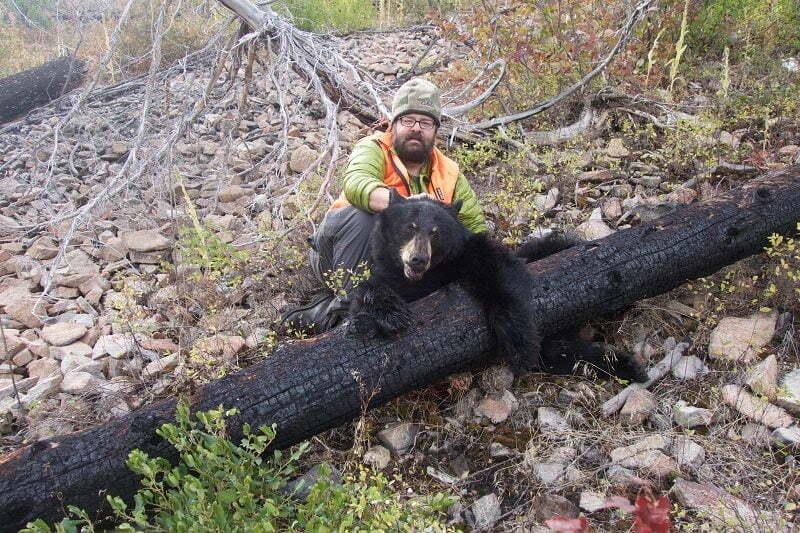 As a rookie western hunter, an OTC spot and stalk fall bear hunt in Montana was too good an opportunity to pass up. 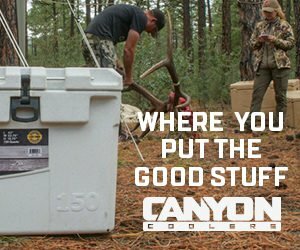 What better way to learn how to hunt new terrain, use new techniques and gain experience that will be used for future hunts for deer and elk? Where to begin? With a general area in mind, the first resource I started with was the Montana Fish, Wildlife and Parks website. A wealth of information on bear populations, harvest statistics and the required bear identification test are available to help choose a location and meet state requirements for harvest. Additionally, a call to the regional office put me in touch with the area Bear Biologist. 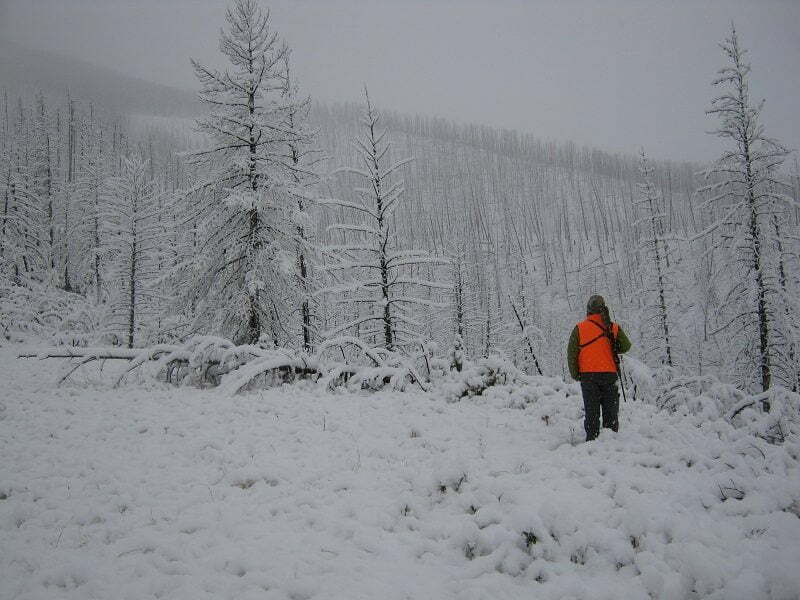 A phone conversion affirmed the area I had chosen held a good bear population and I also gained some insight on bear behaviors in the fall, based on the current weather conditions that Montana had been experiencing. A short talk about grizzly populations and encounters for a new hunter and some additional suggestions on where to hunt were also had. 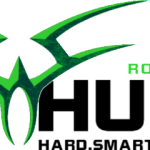 I cannot stress enough what a helpful and valuable resource this is for all hunters. Based on schedule and availability you may not get an answer right away, but my phone calls were returned and all my questions answered. Off to a good start… Day one started with walking closed access roads to a higher elevation in order to glass the creek bottoms and open hillsides for resting and feeding bears. With the onset of hyperphagia the bears would be foraging and drinking constantly in preparation for the winter slow down. As hunters, you know when things happen, sometimes they happen fast. An hour after leaving camp a small black bear popped out of the brush and onto the road right in front of us. There one second and gone into the brushy draw the next. Only a few glimpses were caught of this particular bear again. By mid-afternoon we had reached elevation overlooking a brushy creek bottom and old burn hillsides bordered by old growth timber, just the area the biologist had recommended looking for. Within twenty minutes of glassing, a bear was spotted on the opposite hillside at a range of 800 plus yards. The plan of action was to drop behind the ridge and work our way into a shootable distance. By the second time we topped the ridge to get a visual on the bear…he was gone. No longer could we glass him up. The rest of the day was uneventful, but spirits were high with the two sightings on the first day. A little cooler… “Cover ground and glass, the bears will be on the move” , those were the words that drove us to a different location on day two. Using the map to locate permanently closed gates, we found spots that would lead us to higher elevations to glass. Not near the excitement on day two and a lot of doubt. As a rookie to western hunting, this is where the mental aspect begins to kick in. Somewhat dejected and unsure of our hunting style, we settled into camp for the night with a lot of questions for tomorrow. Sometime during the night rain turned to snow. Six inches of it total. Any doubts that I went to bed with were ten-fold now: What would the bears do now? Move to lower elevations? Hole up until this front passed? Is it time to move elsewhere? After a quick look around for the morning, a drive to cell service and a call to the biologist was in order. I posed all my questions to him and was reassured that the bears had not gone south for the winter. Some lower elevation hunting, patience and effort were called for. A bear was not to be seen or had on day three, but there were elk. Late in the evening a small herd was spotted and observed. A herd bull keeping a satellite at bay and pushing his cows around. This was the valuable experience I was looking for and something I will never forget. The payoff… The morning of day four found an early start at a trailhead not yet walked. Walk, sit, glass, repeat. Perseverance paid off early afternoon when my hunting partner found a bear working up the opposite hillside at about 450 yards. A quick set-up, a shot and the the hunt had come to a surreal end. Now, the work started. Finding the bear proved more difficult than expected after bushwhacking over to the other side. Once found skinned and quartered, the trek out was slow with heavy packs and darkness. 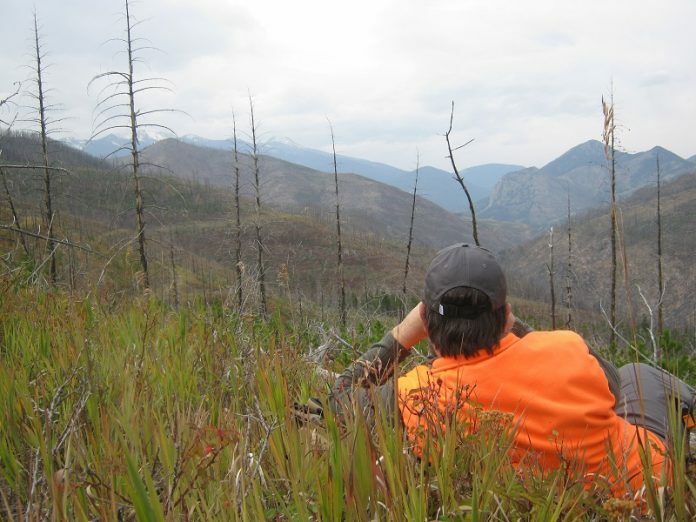 Use the state and local resources for information on animal behaviors and hunting locations. Fall bears will be different than spring when it comes to behaviors and feeding. The local biologist, hunters and even an area taxidermist can provide valuable information on behaviors, food sources and locations. “Cover ground and glass”, I cannot say enough about this. Quality glass (spotter and binoculars) and the willingness to put on the miles is a must. My hunting partner and I looked at new ground every day. Using maps we had located permanently closed access gates and started our hunts from those locations. Positive mental attitude. When you are not seeing animals, the weather turns or plans just don’t work out, it can be easy to despair and second guess yourself. Keep moving and grinding. There are no bears in the truck or at camp unless you put them there. Plan for after the harvest. An interesting eye opener was the after harvest requirements and the time it may take. Having the bear tagged and inspected, finding a local taxidermist or preparing meat for cross-country travel. These things can eat up a whole day so plan accordingly and know the state requirements. During our research we came across a quote that read, “Elk are like gold. They are where you find them”. Once to the truck, my partner turned to me and said, “You know, bears are like gold… they are a lot heavier than they look”! You can comment or ask Dustin Questions here.